What Tim Tebow has accomplished this season is flat out unbelievable. He has been criticized more than any player I can think of in recent memory, and has continued to silence those critics. With Tebow, you either hate him, love him, or are in between. I'm with the in between group. I respect him and appreciate what he has done. He is revolutionizing the game in his own way in that he is proving that you don't have to be a Tom Brady or Peyton Manning to win games. Rather you can be a fantastic leader, and when the game is on the line, you perform at the highest level and get the job done. That's how Tebow has thrived. But unfortunately for #15, the journey ends against the Patriots. 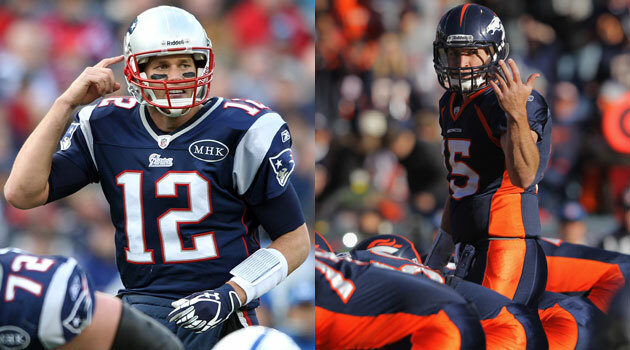 As bad as the Patriots defense is, Tom Brady and the Patriots offense will be far too much for the Broncos to handle. The last thing the Broncos need is for this game to become a shootout, because they will lose 10 out of 10 times if that's the case. Tom Brady doesn't lose shootout games, it's just not in his genes. The Patriots also have the advantage of former Broncos head coach Josh McDaniels joining the coaching staff. He drafted Tim Tebow and Damaryius Thomas for the Broncos and knows the system pretty well. He was also the Patriots offensive coordinator for two seasons from 2006-2008 and has a great relationship with Tom Brady. As fun as this season has been watching Tim Tebow, fans will have to wait until next season to see more or the Tebow magic. P.S. Watch out for the Patriots defense during the playoffs. They are going to play at a very high level and have a positive impact on each game.